ACA utilizes the following airports to fly clients privately to/from Chicago, Illinois and neighboring areas of the mid-west. O’Hare and Midway are popular choices, but may incur higher operational fees than local airports focused more on general and private aviation. Speak with your broker about all of the options available for your flight. Fly private to the Windy City and arrive at Chicago Midway International Airport (IATA: MDW, ICAO: KMDW, FAA LID: MDW) the state’s second busiest airport, located just eight miles (13 km) from the Loop on the southwest side of the city. Midway was the city’s primary airport until (ORD) O’Hare International claimed the throne, and together with increased regulations, Midway’s traffic and importance decreased over the following decades. Economic growth throughout the early 21st century led to rapid expansion projects, and today, (MDW) Midway is the second busiest airport in Illinois, handling more than 22 million passengers annually, and serving as a major hub for Southwest Airlines. When flying private to/from Midway, clients can enjoy private travel services offered by two private terminals (Atlantic Aviation | Signature Flight Support MDW), and customs & immigration services (+1 773 948 6330) are available for international travelers and clients returning to the United States. (MDW) Midway Airport covers one-square mile of real-estate, and offers 5 runways for private planes, turboprops and pistons. Please note: The airport is surrounded by buildings and other developments, and the runway’s landing thresholds are displaced to provide obstacle clearance, including shorter distances available for landings than for takeoffs. Load limits and various weather minimums are strictly followed by the FAA and operators to ensure safety. The largest aircraft at Midway typically arrive/depart using runways 4R/22L and 13C/31C, while smaller aircraft use other runways. 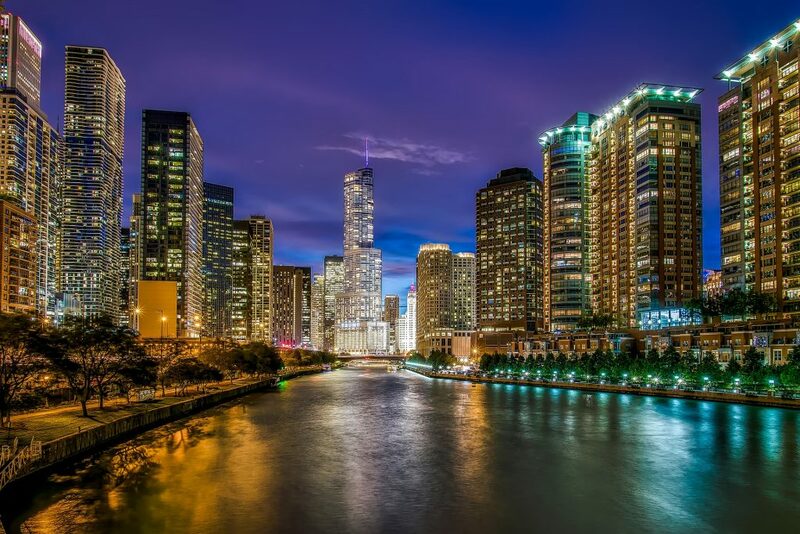 Fly private to the Windy City and arrive at Chicago O’Hare International Airport (IATA: ORD, ICAO: KORD, FAA LID: ORD), located 17 miles (27 km) northwest of the Loop. O’Hare is the main gateway into the area, and was formerly known as Orchard Field, the source of it’s three-letter FAA identifier (read more about airport codes). 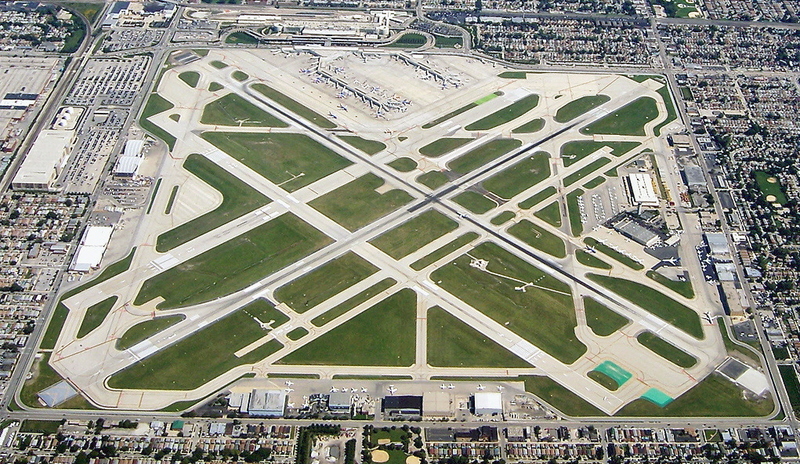 Until 1998, (ORD) Chicago O’Hare was the busiest airport in the world until restrictions were put in place to reduce flight delays, allowing Atlanta’s (ATL) Hartsfield–Jackson International to overtake the top spot — Travel and Leisure ranked Chicago’s Airport System (O’Hare and Midway) as the 2nd worst for flight delays, behind New York City’s airport line-up (JFK, Newark Liberty, and LaGuardia), and O’Hare accounts for nearly 20% of the nation’s flight cancellations and delays. Signature Flight Support ORD offers private travel services at their FBO, and customs & immigration services are available 24/7 for clients traveling internationally. 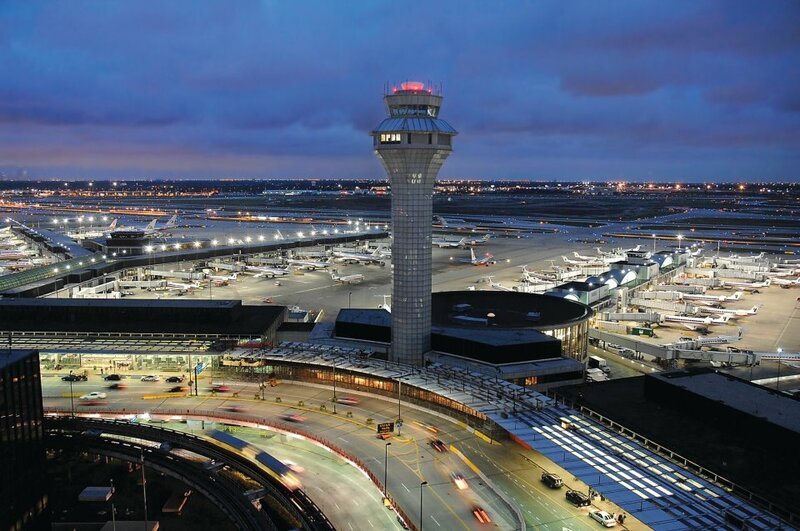 (KORD) O’Hare International Airport is home to 8 runways, more than any other major international airport around the world, serving nearly 80 million passengers every year, ranking as the 6th busiest in the world and 3rd busiest in the United States. Customs & Immigration: 2 hour notice required; Friday for weekend arrivals | Mon-Fri 11:00 a.m. – 7:00 p.m. Hire a private flight to Chicago Executive Airport (IATA: PWK, ICAO: KPWK, FAA LID: PWK), formerly known as the Palwaukee Municipal. PWK is located in Wheelingm, Illinois, about 18 miles (33 km) northwest of downtown. (KPWK) Chicago Executive records more than 77,000 aircraft movements annually, making it the 4th busiest in Illinois. It’s equipped with three runways in total, measuring 5,001 feet, 4,415 feet and 3,677 feet, allowing light-midsize business planes and turboprops to arrive/depart with reduced traffic and congestion. Three fixed-base operators at Chicago Executive (Atlantic Aviation, Signature Flight Support, and Hawthorne Global Aviation Services) provide fueling and handling for private aircraft, and a variety of travel services for executive and leisure travelers. Charter a private flight to DuPage Airport (IATA: DPA, ICAO: KDPA, FAA LID: DPA), a general aviation field located in DuPage County, 29 miles (47 km) west of downtown Chicago. It also serves as a reliever for both O’Hare and Midway. There are four separate facilities at (DPA) DuPage — the DuPage Airport, one of the busiest in Illinois, its on-site FBO (DuPage Flight Center), a Robert Trent Jones, Jr. designed golf course, and the largest corporate research and development park in DuPage County. 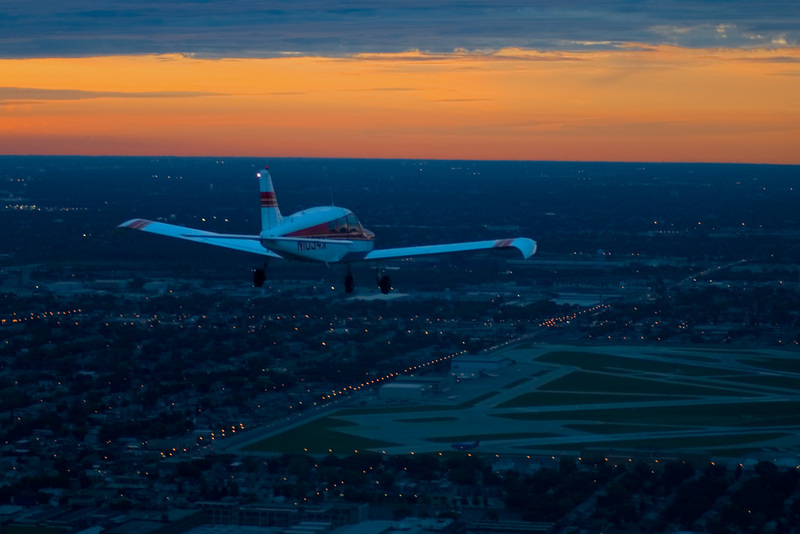 (KDPA) DuPage is the only general aviation field in Illinois with four active runways, two ILS approaches, a 24-hour FAA air control tower, and over 40 aviation and non-aviation support businesses. DuPage also features an on-site U.S. Customs Office (+1 630 208 6490). Rent a private turboprop and fly to Waukegan National Airport (IATA: UGN, ICAO: KUGN, FAA LID: UGN), a public use airport located 35 nautical miles (65 km) north of downtown Chicago in Waukegan, Illinois. 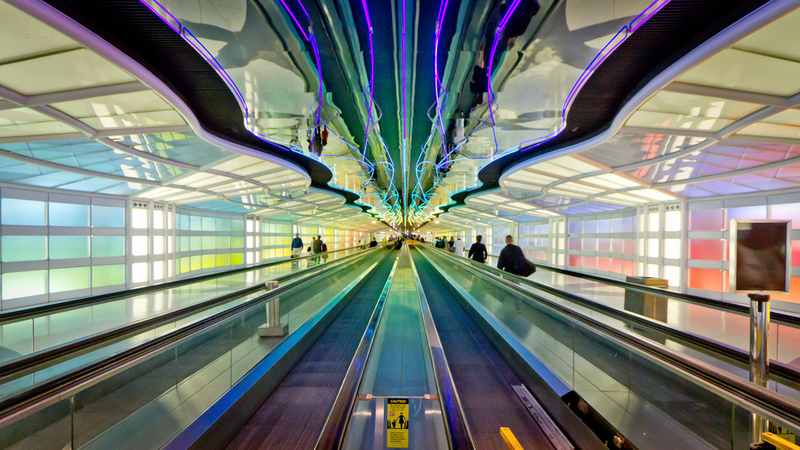 (UGN) Waukegan National is categorized as a reliever for O’Hare, and it’s the second busiest airport in Illinois for international arrivals. Two runways are available — 5/23, measuring 6,000 feet, and 14/32, measuring 3,751 feet — and FBO service is provided by Signature Flight Support. Please note that although Waukegan National is operational 24 hours a day, customs availability is scheduled between 11:00 a.m. – 7:00 p.m. (local time) between Monday – Friday. Customs is still available at anytime given two hours notice (+1 847 336 2136), and weekend arrivals must be scheduled before 4 p.m. Friday CST. Overtime rates applicable outside of normal operating hours: $225/hour. Private aviation allows clients to arrive and depart using more than 100x the number of airports commercial airlines use, allowing clients to arrive closer to their destination, reduce costs using airports dedicated to private and general aviation, or reach remote, exotic destinations. These additional airports are located within 50 miles of Chicago; if you don’t see your preferred airport listed, contact one of our brokers with your trip details. Have any questions regarding the private airports for your upcoming flight? Send us an e-mail or give us a call at 1-888-987-5387 to speak with one of our brokers to discuss all Chicago private airports available for your flight.